Kerala Leisure Tour is centered around the intrinsic elements of leisure-pleasant expectation, enchanting recollection, quality of experience and engaging in cultural activities with luxury of free-time and amenities. Kerala Leisure Tour unwinds a visitor to explore oneself and engage in pursuits of one's craving in relaxed manner and cozy ambience. The leisure tour of Kerala rejuvenates and enrich a tourist with an array of experiences, activities and seamless services- cultural and historical heritage of Kerala in Cochin, nature walk in Munnar, jungle game drive on elephant in Thekkady, boat ride to view Periyar Wildlife Sanctuary, complete relaxation and Ayurvedic massage in Kumarakom and experiential houseboat stay and cruise in Alleppey to grab magnificent splendor of Kerala's backwaters. Activities on the first day of Kerala Leisure Tour are dependent on the presumption that arrival at Cochin by flight or train is either late morning or early noon. On arrival at Cochin, our representative will greet and transfer you to the pre-booked Cochin hotel. There in hotel lobby, Cochin tour guide will meet you. 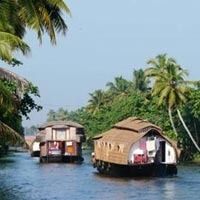 After smooth check in, relax for a bit and, post-lunch, move for Cochin sightseeing along with Cochin tour guide. Cochin, regarded as commercial capital of Kerala, is one of the best natural harbours of the world. Situated on the mouth of the Arabian Sea, this is one of the best natural harbours in the world and a great place witnessing major trading to and from the area. Cochin sightseeing tour includes several historical monuments, places and objects like the Jewish Synagogue, St. Francis Church, Chinese fishing nets, spice market etc. Later in the evening return to Cochin hotel for overnight stay. Kerala is renowned for its nature tourism. Mostly nature tourism of Kerala is identified with backwaters and beaches. Travel to Munnar will definitely smash this myth and add another exotic aspect- Kerala is endowed with pleasant greenery all around. Having breakfast in Cochin hotel, drive to Munnar. A trip to Munnar from Cochin is a travel through the green blankets of nature on both sides of the road with spice, cardamom and tea plantations spread on a vast stretch of land. On arrival at Munnar, check in at Munnar hotel. Spend rest of the day, a tryst with the nature, in leisure, amidst pollution-free and aromatic ambiance. Overnight stay has been scheduled in Munnar hotel. 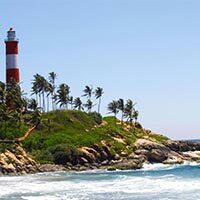 3rd day of Kerala Leisure Tour is scheduled for leisurely enjoyable sightseeing. Having relished delicious breakfast in relaxed morning hours, proceed visit prominent attractions of Munnar, namely, Eravikulam National Park, Mattupetty Dam, Eco-Point, old Munnar town, and Tata Tea Museum. Eravikulam National Park is known for endangered mountain goat Nilgiri Tahr. While exploring through the town, do not miss to notice the small mountain goats happily grazing fresh grass almost pretending as if they were exploring the beauty of nature too! The road to these tourists destinations pass through tea and spice gardens. A visit to Tata Tea Museum reveals the origin and evolution of tea-plantation in this region. Late afternoon return to your hotel and spend evening in leisure. Overnight stay will be in Munnar hotel. Being the entrance to Periyar Wildlife Sanctuary, Thekkady is most visited by the adventure-seekers willing to explore jungle life. Travel to Thekkady from Munnar takes 03 hrs due to hilly terrain. Having fresh breakfast in Munnar hotel, depart for Thekkady. On arrival at Thekkady, check in at the pre-booked hotel. The hotels & resorts near Periyar Wildlife Sanctuary at Thekkady offer themselves as the perfect base to check in and rest for a while before embarking on a wildlife sojourn across the woods. Thekkady is a well known wildlife sanctuary in Kerala and renowned for wild elephants, wild boar, leopards and of course tiger. The large variety of flora and fauna housed within the sanctuary completely surprise the visitors. From birds to elephants and from monkeys to wild boars the names in this list are impressive. Later, you will be cruising on the artificial lake of Periyar wildlife sanctuary to watch and observe the marvellous elephant herds. Overnight stay will be in Thekkady hotel. From Thekkady, having taken delicious breakfast, move for Kumarakom, highly popular tourist destination. On arrival at Kumarakom, check in at Kumarakom hotel/ resort. Kumarakom, situated on the banks of Vembanad Lake, is a small tourist hamlet, developed on reclaimed land from the lake. To add luxury to the entire trip, spend a day in one of the best Kerala resorts located right on the banks of the Vembanad Lake. Kumarakom has shot to fame among the tourists due to three reasons- a bird sanctuary on an island in Vembanad Lake, quite and serene beach of the lake and ever growing facilities of Ayurveda rejuvenation therapy. A visitor is suggested to indulge in Ayurvedic massage to get relaxed outright. The stay in Kumarakom is like one whole day in the laps of leisure and luxury. The day is free for leisure and overnight in Kumarakom hotel. The most distinguishing USP (Unique Selling Proposition) of Kerala is enjoying breathtaking backwaters with houseboat stay. A trip to Kerala will be incomplete without a houseboat experience. Having rejoiced delicious breakfast in Kumarakom hotel, drive to Alleppey, best place that offers traditional houseboats called the 'Kettuvalam'. You will be directly transferred to reserved houseboat as you reach Alleppey. Your breakfast, lunch and dinner will take place in the houseboat. 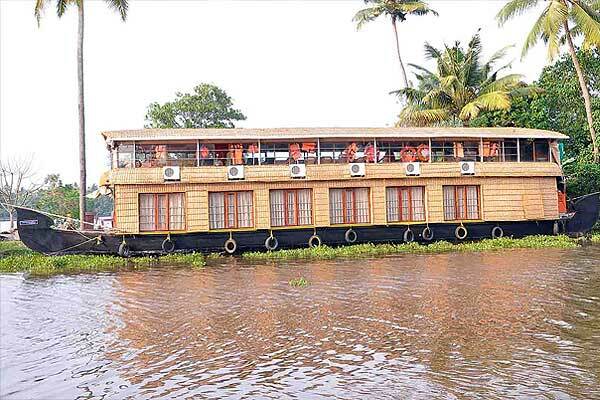 Get aboard for a houseboat experience in the 'Venice of the East', Alleppey. Stay in & cruise of houseboat will be a lifetime experience of your life. Besides the natural beauty of the place, do not miss to also feast on the lifestyle of the natives here. Enjoy traditional meals while onboard and some very scintillating sunset and sunrise views. 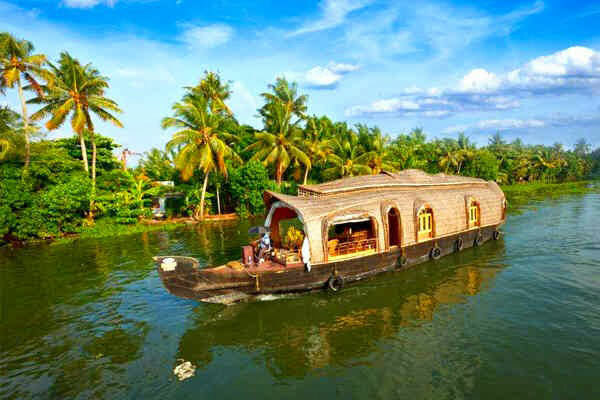 Leisurely enjoy the pleasantly scenic pathways, green lagoons, villages, emerald green paddy fields and exotic natural surrounding while houseboat cruises through the backwaters. Kerala Leisure Tour ends on the 7th day with Optima's representative escorting the guest to the airport/ railway station to embark on the journey back home. Cochin is also termed as Kochi. 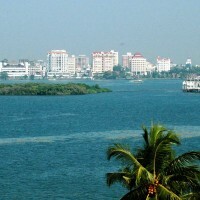 Cochin is a fabulous city, culturally rich and commercially vibrant. It is divided into two parts – Ernakulum and Kochi. Come into Cochin to visit Kochi. Kochi is aptly termed as Queen of the Arabian Sea, being the finest natural harbor in the world. Enjoy Kochi with ferry rides commanding its breathtaking view as you cruise around man-made islands with lush green lawns sloping down to the water's edge. These ferries offer luxurious environment on board. Aboard, you can relax with a drink watching the Arab dhows in the foreground, and behind, the tree shaded buildings of the families who sold gold, ivory, timber and peacock to King Solomon, 19 centuries ago. Kerala, the God's own country, beckons you with the best of natural beauty. Cochin is gateway to Kerala. Pleasant ambience, simple people, delicious cuisines, rich past, giant Chinese fishing nets that billow from massive teak and bamboo poles dot the entrance to the harbor. Silhouetted against the setting sun, they present a magnificent sight of the waterfront. Cochin is the oldest European settlement in India. Recording a history of visitors who came, saw and stayed for hundreds of years. Layered impressions of Chinese, Arab, French, Jewish, British and Portuguese are contained within its environment. Enjoy Cochin during Cochin Carnival. Ring in the New Year with great festivity and cheer at the Cochin Carnival. This week long extravaganza presents to you colourful parades, variety programmes and events to enjoy. And, of course, cherish December 25th to 31st every year. Munnar is a tiny green paradise teetering on Anamudi – the highest mountain peak of South India, 1549 mteres above sea level. Munnar meaning 'three rivers' is situated at the confluence of three mountain hill streams and a delightful hill station of Kerala and South India. Sprawling tea plantations with trekking paths running through and further leading up to breath-taking waterfalls make it a place worth visiting while on Kerala tour. Far from the maddening crowd, Munnar offers an ideal retreat. Munnar is easily accessible from Cochin. Munnar, a hill station in Idukki district of Kerala, is nestled in soothing environ of Western Ghats. 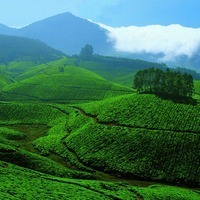 In context of 'nature-tourism', Munnar with its lush-green landscape turns out to be essence of eco-tourism of Kerala. There are many worth watching tourist attractions in and around Munnar. Mattupetty Dam (13 kms from Munnar), Mattupedi Dairy Farm ( an Indo-Swiss scientific farm), Kundala Lake (20 kms from Munnar, a man-made lake), Echo Point (about 15 km from Munnar), Rajamalai ( a part of Eravikulam National Park that is known for Nilgiri Tahr, an endangered species), Tea Museum (intended to educate people about laborious tea production process), Marayoor Sandalwood Forests (home to natural sandalwood and heritage site depicting the ancient stone age civilization dated back to 10,000 B.C. stone age paintings, rock edicts and dolmens), Attukad Waterfalls, Blossom International Park and Munnar tea plantations are main tourist attractions of Munnar. 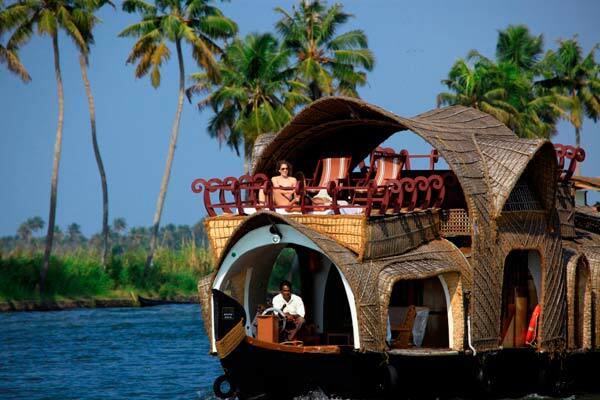 Kerala is worldwide known for its backwaters and backwater tourism. Alleppey is locally called as Alappuzha. An intricate maze of canals and backwaters lined on both sides by lush greenery makes Alappuzha an interestingly beautiful place. Much sought after by the tourist, the boat rides served by ferries to Kollam and Kottayam offer you an experience of a life time. Famous as the "Venice of East", Alappuzha is also the host to the spectacular Nehru Trophy Snake Boat races. Alleppey is the most popular and beautiful place to enjoy backwaters of Kerala while enjoying an overnight houseboat cruise. During your houseboat stay in Alleppey, see 400 year old Champakkulam church (one of the 7 churches established by St. Thomas) and the Chavara Bhavan. Passing through various canals and waterways and passing by sporadic islands will be an unforgettable experience of Alleppey backwaters tour. Alleppey deserves to be called as the Venice of the East, with its intricate network of canals, backwaters and bridges. Alleppey, sandwiched between the Arabian Sea and the Punnamada backwaters on Kerala's southern coast, can be characterized as "life in slow motion"
Total Meals: 08 (Breakfast-06; Lunch-01 & Dinner-01). Total night stays: 06 (Cochin-01; Munnar-02; Thekkady-01; Kumarakom-01; Alleppey-01). Along with breakfast at all places, 01 lunch & 01 dinner in houseboat. Kalaripayattu (Martial Arts) show in Thekkady. 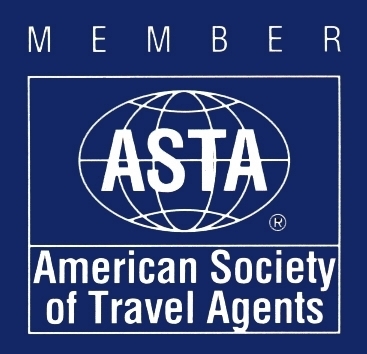 English speaking & destination-specific guides for sightseeing of historical monuments, if in itinerary. Have a night of home stay to enjoy traditional family life of Kerala people with home-made food. Cochin: Explore curio shops, small and quaint, for ethnic articles like colorful bead jewelry, mat and bangles made of coir, wood, bamboo, shells, brass, ivory and sandalwood. Cochin:Meen Mollagitta curry (prepared of freshwater fish) & Kurukku Kalan ( a vegetarian specialty prepared of yoghurt, curry, toasted banana & rice).